Finding out that one of your employees is working their way out of the door isn’t easy. Many managers won’t initially take the news well. After all, this means they are going to have to find a replacement, and that could be challenging and stressful. Plus, if you are great at your job, they know they are losing a top performer, and that will harm productivity and, potentially, their career. Even if you have a great relationship with your boss, you can’t count on them taking the news well. Additionally, it may lead them to take certain actions, like finding your replacement even though you haven’t left yet or even formally given notice. Once your manager knows you don’t plan on staying, they have little incentive to keep you while you look for something new. This puts your current job at risk, and you may find yourself let go before you have a new opportunity lined up. Many job seekers consider telling their boss about their job search so they can secure an employment reference. However, you don’t have to list your manager, even if the prospective employer would like to connect with someone from your workplace. The majority of companies understand that you might prefer your current employer not know about your search, so they won’t hold it against you if you don’t provide contact information for your manager. Additionally, you can always strike a deal, letting them know that you would be happy to provide your manager’s information once an offer is in place. The offer can even be contingent on your boss giving a positive reference, ensuring the hiring manager feels more secure about proceeding in this manner. If they need references upfront, offer contact information for references that won’t harm your current livelihood. Even if your manager would provide a glowing reference, it’s often better to play it safe. There is one situation that could be viewed as an exception to the norm of not telling your boss. If your position is short-term and the end of the assignment is drawing near, your boss won’t be surprised that you are exploring other opportunities. As long as you will be able to finish your current obligation, letting your manager know could actually work in your favor. If you did an exceptional job, they might be able to connect you with other opportunities at the company, offer you a permanent spot on their team, or offer to be a reference. Ultimately, the situation above is really the only one where telling your boss about your job search might be okay. Just make sure your activities don’t harm your performance while you are still there. 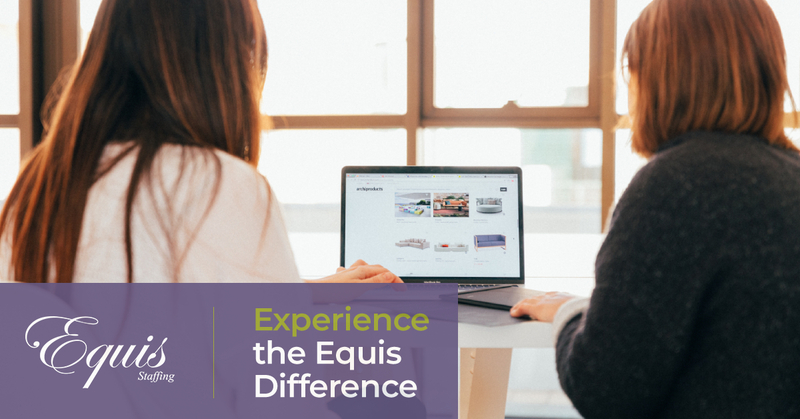 If you would like to learn more about managing a job search effectively, the team at Equis Staffing can help. Contact us to discuss your questions with one of our recruiters today and see how our job search expertise can benefit you. Tags: Should You Tell Your Boss When You're Job Searching?